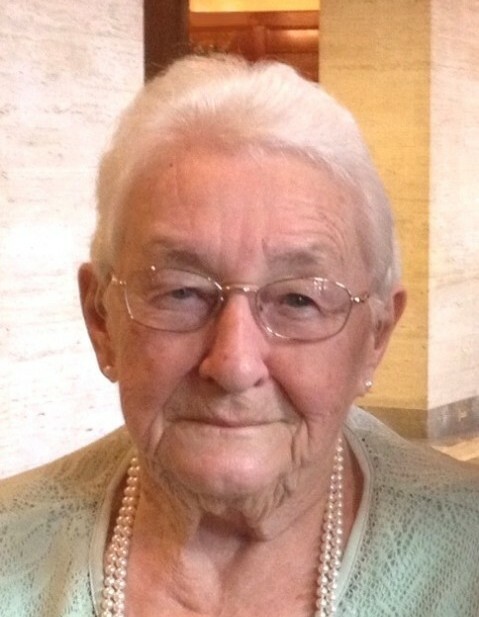 Obituary for Cleona R. "Nooks" Pope Rumberger | Myers - Somers Funeral Home, Inc.
Cleona R. Pope Rumberger, age 89, passed away Friday evening February 1, 2019 after a lengthy illness. Cleona, or “Nooks” to family and friends, was born on May 2nd, 1929 in Greenwood, Blair County, PA to Neil and Emma Miller Pope. She graduated from Bellwood-Antis High School in 1947 and worked at Shaffers Grocery Store, McCrory’s Five & Ten, and Central Trust. On February 3rd, 1954 she married Francis in Winchester, VA, and they would have celebrated their 65th wedding anniversary on February 3rd. They raised 4 children in the Riggles Gap area, all of which are graduates of Pennsylvania State University. Cleona was actively involved in numerous tractor and antique equipment shows, volunteering in the cider press and potato chip areas, and the kitchen. Through the years, Cleona enjoyed crocheting, ceramics, camping and traveling, bowling, and visiting with extended family, especially family reunions and gatherings. She was an avid local sports fan, faithful to the Steelers, Penguins, and Nittany Lions. She thoroughly enjoyed spending time with her grandchildren and in her later years, her great grandchildren. She is survived by her beloved husband Francis; four children: Patty Bohm (Greg), Marilyn Endress, Carol Mock (Phil), Ron (Kathy); five grandchildren: Jill Endress, Zach Bohm (Michelle), Emily Bohm, Curt Endress (Rebecca), Ryan Mock; four great grandchildren: Karter, Karmyn, Jonah, Rose Cleona; and sister Anna Jean Ross. She was preceded in death by sister Vera Garman. In lieu of flowers, the family requests donations be made in memory of Cleona to Salem Lutheran Church, 2115 Antis Road, Altoona, PA 16601.